Firebake’s feted landing on Singapore’s famously fussy food scene is making the right kind of waves. It’s not the hottest thing since sliced bread (pun intended, of course), but newly minted East Coast bake-house Firebake—which doubles up as a restaurant serving creative yet comforting fare—does have something somewhat radical at its heart. You see, the speciality of this deceptively straightforward setup is driven by a bold ode to third-wave breads, specifically sourdough bread making using historical European methods. Sure, it would be easy to consign such an offering to the "food for the gourmand” portion of our ever-changing and famously convoluted list of “the best things to eat", or park the concept alongside other hipster food trends, simply because artisanal consumables—unlike deconstructed classics served on iPads or all manner of food and drinks served in Mason jars—are still very much in fashion. To put it plainly, this bakery’s commitment to the art of bread making is shedding new light on a seemingly archaic craft—a physical and oftentimes monastic labour, shared owner and head baker Konstantino Blokbergen, who has 25 years of experience in the hospitality and F&B industry, and whose maternal grandfather was, coincidentally, an artisan baker in Greece. And, yes, the 42-year-old trained chef and lifestyle consultancy owner does this by taking the cliched path less travelled and working with organic flour, which he sources from Western Australia. This includes plans to introduces batches of ancient wholegrain that’s milled onsite using a traditional wood and stone flourmill. In making sourdough breads, this purity of the water helps elevate the flavour of the organic flour by simply allowing it to shine. Similarly, only non-ionized salt is used, affirming the aim of preserving purity by doing away with chlorine and other non-natural ingredients. This allows the organic flour to develop its unique flavour, achieved via a slow fermentation process. “Time is flavour in that sense,” he posited. To boot, there is a rising number of chefs who are going back to cooking “the old way”, with wood, charcoal and fire, resulting in more farmers, growers and producers aligning to the demand. Even so, most chefs, Blokbergen continued, do not put as much emphasis on the bread they serve at the restaurant. At Firebake, though, this is key to its concept. 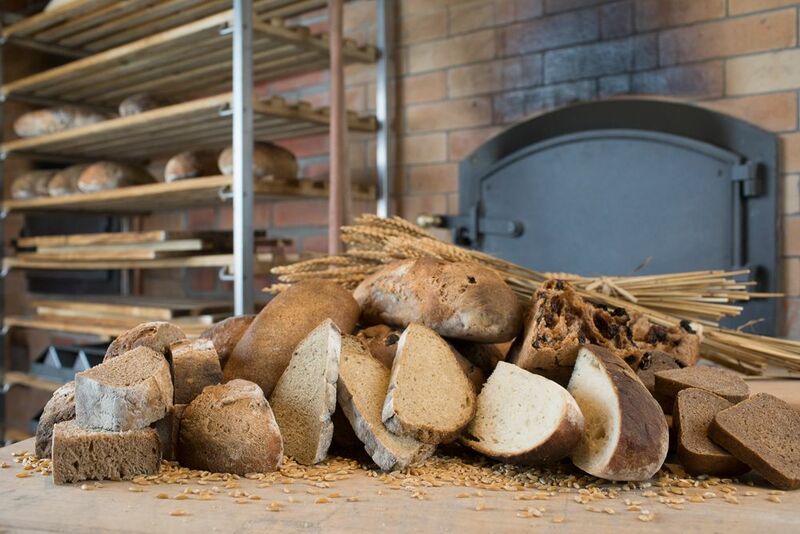 “Here, we subscribe to the #slowdoughrealbread movement, taking the time for ingredients to develop and flourish, extracting the highest level of nutrients via the long fermentation process,” he added. Ultimately, it is the consumer who benefits, whether it’s about taste and enjoyment or overall wellbeing. Utopian dreams aside, there is a real sense of admiration for the art of cooking in our growing appetite for simple foods done well. The process has, in fact, helped re-establish this natural connection. “Gone are the days where it was all about clinical looking kitchens, where diners could barely smell any food being made,” he said, adding how chefs have responded by adapting their kitchen set-up and menu concept. “Open-fire cooking is the key element, which has brought some real life and cooking action back into the kitchen the last couple of years. This is where Asian cooking has always stuck to its roots in preserving the wok tradition and in keeping the open flame showmanship alive. Restaurants Blokbergen felt has embraced this approach include relatively recent trailblazers such as Burnt Ends, Fat Lulu’s, Moosehead Kitchen-Bar, Ola Cocina del Mar and Salted & Hung. And, while Firebake remains part of a small band of operators that can afford to restrict cooking to charcoal grill ovens and firewood, its approach thrives on the concept. That includes the use of something as basic and forgotten as “ancient wholegrains”, a nod to a time when farming was not about industrial mono-cropping and more about “a natural eco-system where, in most cases, two complementary crops (with mutual benefits) are planted together and grow sustainably in one season cycle”. The idea is to avoid the use of modern wheat grains (or hybrid wheat species), which he explained are known to have been highly modified genetically in the last 50 years in order to satisfy harvesting quotas and production yields from big multinationals who control the big chunk of global wheat market. What’s the big deal, you ask? And it’s good that you do. Well, it may be but an archaic means to an end for some. But few things champion the need to have a vested interest in eating well than a freshly made loaf of fire-baked organic sourdough from your neighbourhood baker.